Open Poet Wrangler and you’re in for an exhilarating experience. 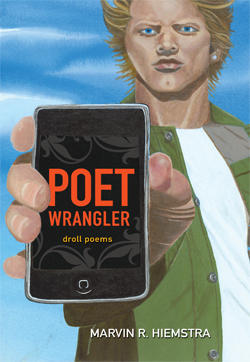 “Not only is his latest book, Poet Wrangler, a delicious poetic treat, it contains more seeds of wit and profundity than most poets sow in a lifetime. He is our 21st Century Whitman, blowing ‘tenderly in the ear of the Universe.’ The song of his irresistible self sings to the poet in us all,” says David Alpaugh. You’ll delight in Marvin R. Hiemstra’s potent observations and insight.